The nation's favourite ballroom couple are returning with an exciting new show-stopping dance prodution: Dance Those Magical Musicals. In this one, the world of ballroom meets musical theatre. 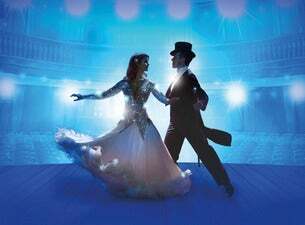 There'll be dazzling new costumes and amazing new choreography set to iconic theatrical favourites that include Mary Poppins, The Phantom of the Opera, Cabaret, 42nd Street, Wicked, Hairspray, Jersey Boys, Top Hat and many more. Also featured in this show is conductor Richard Balcombe, the vocal talent of TV's Lance Ellington and the incredible London Concert Orchestra with a sensational West End dance ensemble.